Even in early twentieth century Russia, raw capitalism was destroying natural beauty and remaking the landscape. But it was doing more than that. It was transforming a class system, forcing the landed gentry to scrounge for money to keep up mortgage payments while merchants descended from serfs had the cash to buy ancestral estates out from under the people who had lived on them for generations. 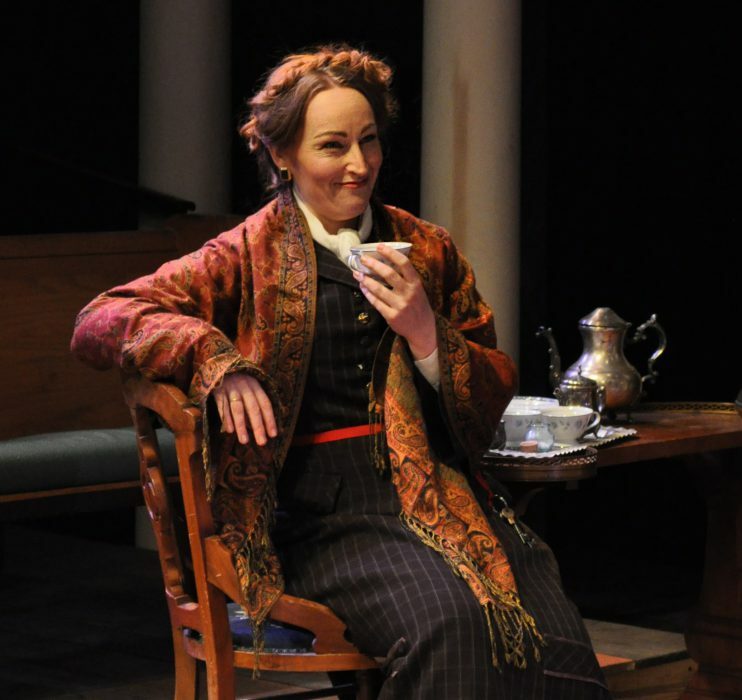 That idea is one of several running through Anton Chekhov’s “The Cherry Orchard,” now onstage at the Metropolitan Ensemble Theatre. Director Todd Lanker, the MET’s associate artistic director, has assembled a talented cast in an effort to enunciate Chekhov’s themes and breathe life into his complex, sometimes unpredictable characters. The MET show uses an adaptation by British playwright Tom Stoppard. Chekhov’s plays were neither out-and-out comedies nor dark tragedies. Rather, the comic and the tragic dwelled side-by-side, just as it does in real life. And his plays weren’t plot-driven except in the most general way. They were more like gatherings of eccentric characters who sometimes collided, sometimes went unnoticed. Some were full of youthful dreams, some were embittered by changes in the world. In “The Cherry Orchard” Luibov Ravensky (Shelley Wyche) watches the family estate disappear before her eyes simply because she doesn’t know how to handle money other than to spend lavishly. Her brother Gaev (Peter Leondedis), is no better equipped and is often preoccupied with imaginary pool shots. Luibov’s adopted daughter Varya (Dawn Youngs) is the hard-working estate manager grounded in reality. In some ways the most important — and most interesting — character is the merchant Lopakhin (Andy Penn), the grandson of serfs who had slaved away on the estate. Lopakhin is a shrewd businessman but he’s not a bad guy and he considers himself a friend of the family. He implores Luibov to accept his plan that would allow her to hold on to the estate if only she would allow him to pay off the mortgage. In exchange, he would subdivide the land to build summer cottages near a new rail line. Her inability to act, or comprehend, is costly. In this world, tectonic shifts are preceded by small, incremental changes ignored at one’s peril. “The Cherry Orchard” is remarkably contemporary in certain respects. But there’s no mistaking that it’s a play from a bygone era. Chekhov created 14 speaking parts, which means, among other things, that Lanker has his hands full directing traffic on and off stage. He’s largely successful and presents these characters with admirable clarity. The talented ensemble includes Leah Wilczewski as Anya, Luibov’s youngest daughter; Colin Henry Fewell as Trofimov, an “eternal student” from the local university; Curtis Smith as Simeonov-Pischik, a neighboring land-owner perpetually in need of a loan; Brandis Outlaw as Charlotta Ivanovna, the governess with a mysterious past who performs deft card tricks; Ryan Fortney as Yepikhodov, a clerk on the estate and a classic comic-relief character; Elaine Christensen as Dunyasha, a maid; Christopher Preyer as Yasha, a young manservant with a mercenary view of life; Alan Tilson as Firs, the estate’s ancient servant who still considers emancipation of the serfs a “catastrophe.” Rounding out the cast are John Van Winkle as a post-office clerk and Justin Speer as the stationmaster. At times characters are given monologues, set off by a change in lighting, within longer scenes. These are some of the most arresting moments in the production. It’s a smart way to add clarity to a multi-layered play. My favorite performances? Youngs as Varya and Penn as Lopakhin. 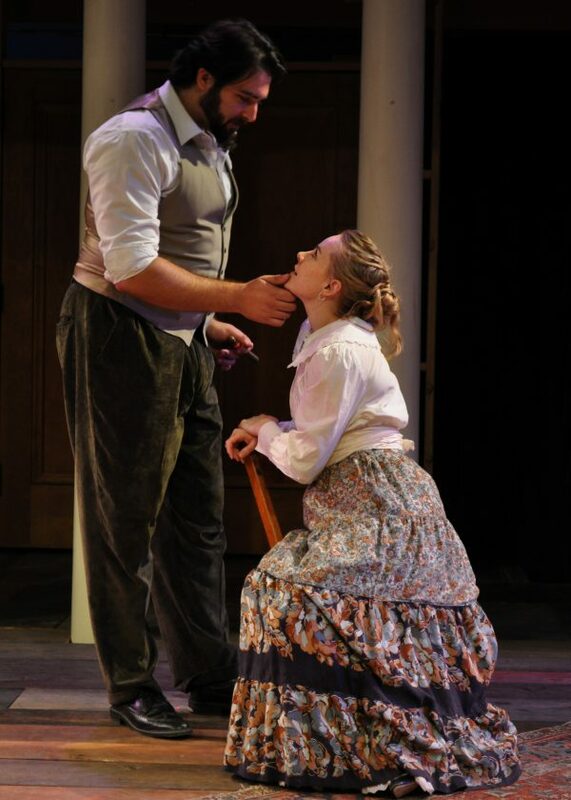 Chekhov gives us a deeply affecting picture of unrequited love. The love is there. It’s real. But somehow they can never bring themselves to say the words. The talented actors make it palpable and poignant. And Tilson, a MET veteran, enjoys himself as the cantankerous aging Firs, a character as tragic as he is amusing. Karen Paisley, the MET’s artistic director, is credited with the handsome costume designs. She and James Paisley designed the effective lighting. Worth noting: The MET, which staged a memorable production of Chekhov’s “The Seagull” in 2012, is the only local theater company in recent years to stage plays by a man rightly considered one of the great playwrights. Kudos are in order. 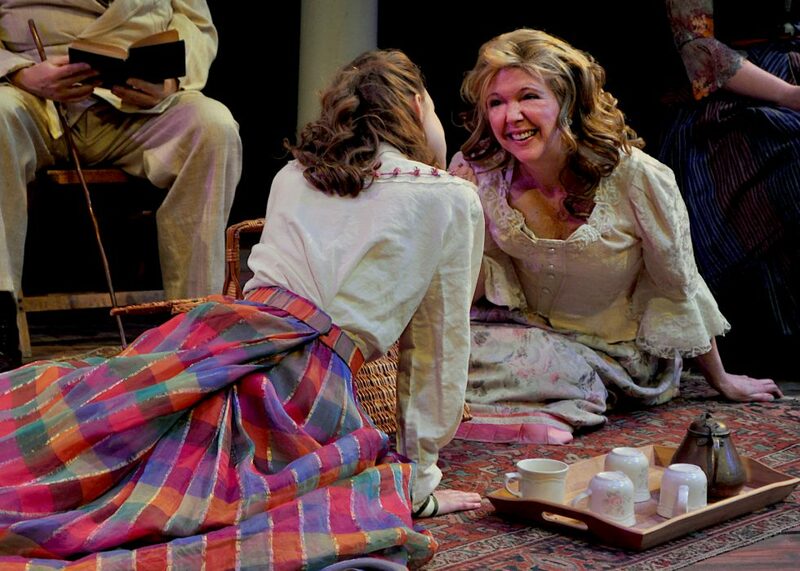 “The Cherry Orchard” runs through Jan. 27 at Metropolitan Ensemble Theatre, 3927 Main St. Call 816-569-3226 or visit https://www.metkc.org.